Coloring: Shown here in original lithographic colors. Hand coloring of highlights available at an additional charge. 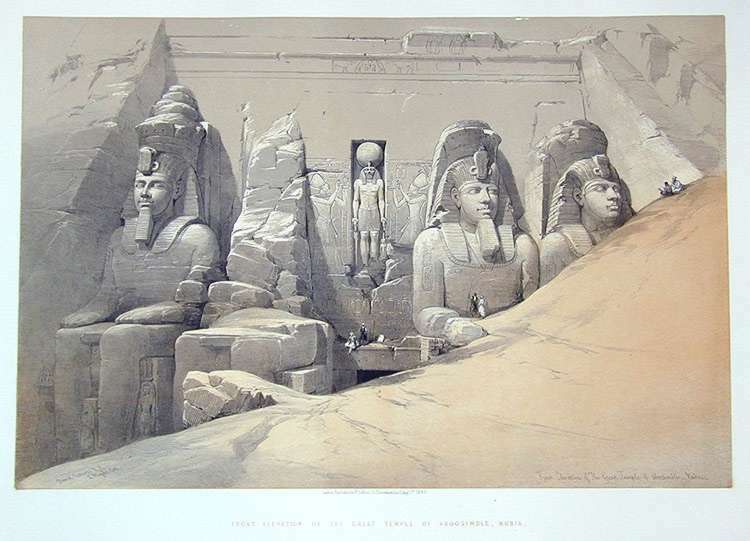 Comments: Another view of Aboo Simbel, which had been re-discovered only 15 years before Roberts' visit as it emerged from the shifting sands. Another of the top images in the series. Price: $2,800 uncolored, $2,900 colored. Paper : 16 5/16" x 23 15/16"
Image: 12 13/16" x 19 1/4"